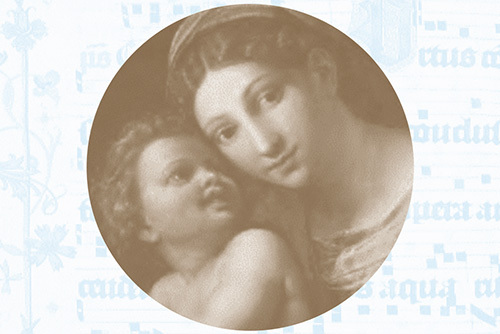 The sonic splendor of the 18th annual Mary & Christmas concert will resonate throughout the acoustical jewel that is The Shrine of Our Lady of Pompeii as we welcome back the incomparable William Ferris Chorale, under the direction of Maestro Paul French, in a program of familiar and glorious Christmas favorites. Joining in the musical banquet will be harp virtuoso, Lauren Hayes, the incomparable soprano Carol Lo Verde, baritones Anthony Rago and our beloved rector, Rev. Richard N. Fragomeni, PhD, accompanied by a chamber orchestra. Echoes of Christmases past, the timeless melodies of the season and even the “Charlie Brown Christmas Special” will help to ring in the season! Join us for what promises to be an exuberant and heartwarming evening of holiday music making. Pre-Concert Buffet prepared by Piccolo Sogno: 6:00 p.m. to 7:45 p.m.
Concert: 7:45 p.m. to 9:00 p.m.
Click here to Print and Return this card with reservation by Tuesday, November 27, 2018.
premium recognition in the Program Book. special recognition in the Program Book. Includes Admission(s): Buffet and Concert.